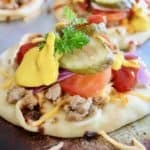 Cheeseburger Naan Pizza - Healthy, Low Fat & Delicious! 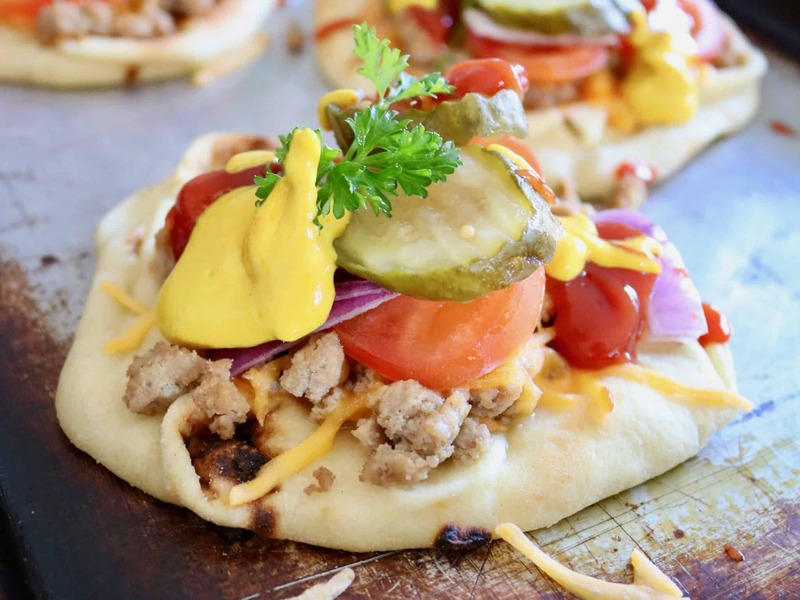 Cheeseburger Naan Pizza – A Healthy Way to Enjoy Comfort Classics! 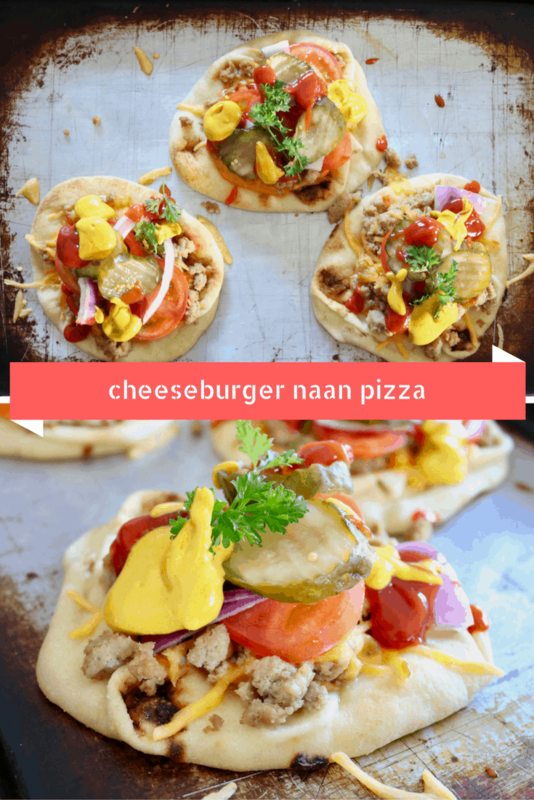 Cheeseburger Naan Pizza – A Healthy Way to Enjoy Comfort Classics! Note: This post is in no way sponsored, endorsed or administered by the National Football League (NFL) or any of its teams. All opinions and views expressed on our blogs are our own, not that of the NFL and/or any of its 32 teams. Any team names, logos or other symbols referenced are properties of their respective organizations. We are just big fans — and we want to share our love for our teams, the game and the food that brings us all together on game day. That’s what your thinking — right? 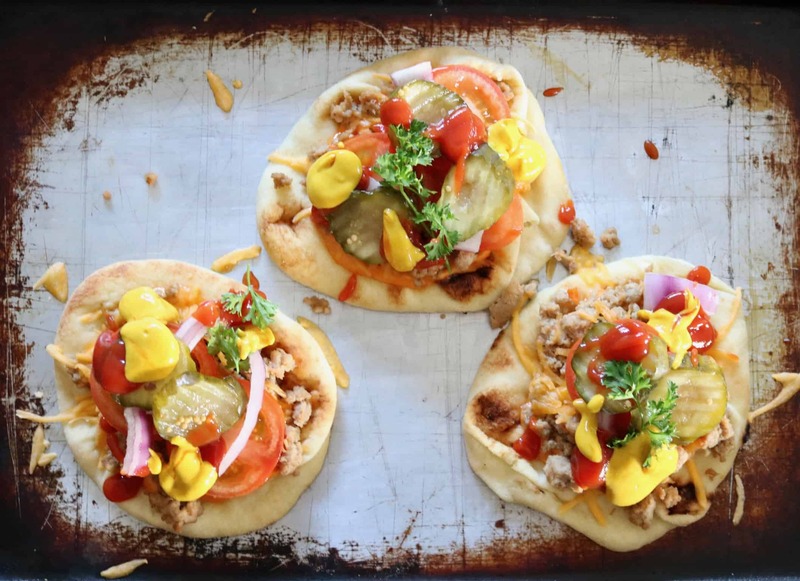 Did Liz just really post a Cheeseburger Naan Pizza recipe? Well, HELL yes she did! Nothing screams American classics in my book that football, burgers and pizza. So, it was a no brainer, this Cheeseburger Naan Pizza was born! How did I Shaw’s Simple Swap this Cheeseburger Naan Pizza? Slice into triangles, eat a la carte; seriously whatever your heart desires! 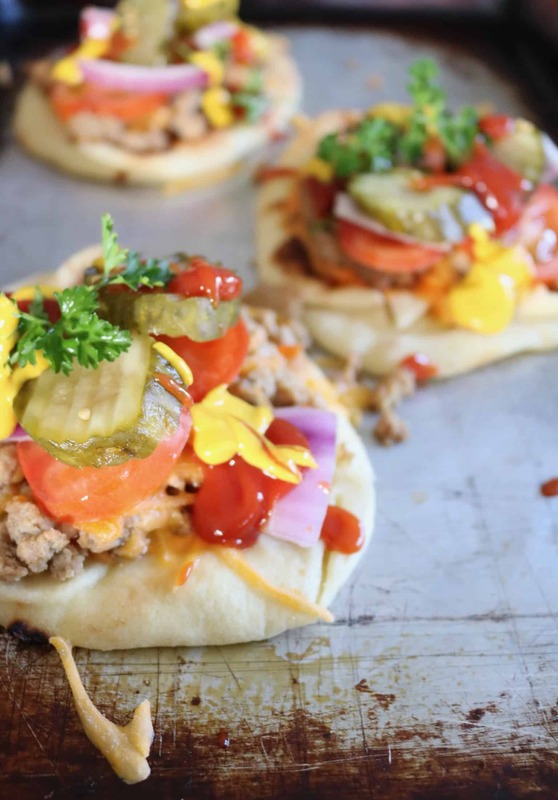 This delicious Cheeseburger Naan Pizza is the easiest way to please an entire crowd! Mix and match toppings so even your pickiest of eaters can enjoy! Preheat oven to 425*F or set to pizza setting. On a baking sheet, place 6 mini naan breads. Top each with 1-1 1/2 tablespoons thousand island dressing, 1/4 cup of ground turkey and 2 tablespoons of shredded cheese. Place in the oven for 5 minutes for cheese to melt. Remove from oven. Top with tomatoes, red onion and pickle chips. Garnish with ketchup and mustard if desired. Slice into pieces or enjoy whole, your choice! For a vegetarian option, substitute ground turkey for soy crumbles. 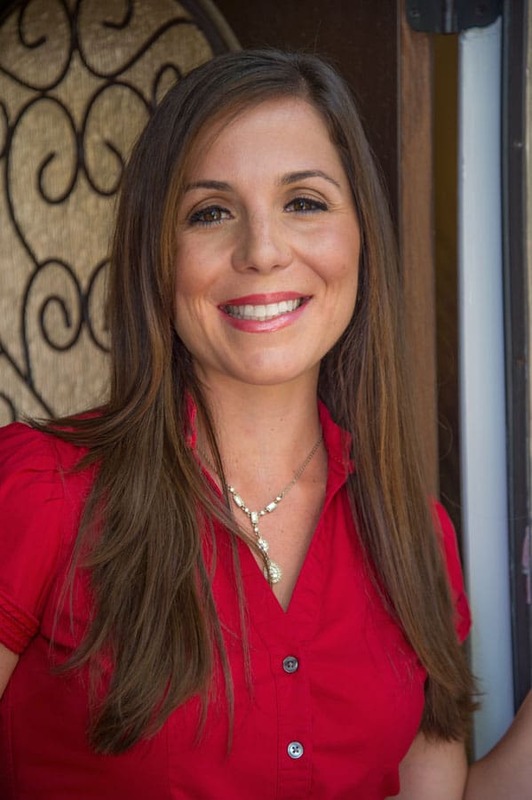 Be sure to checkout other amazing recipe inspiration below as you plan your next get together! Bah! I challenge you to that my friend!